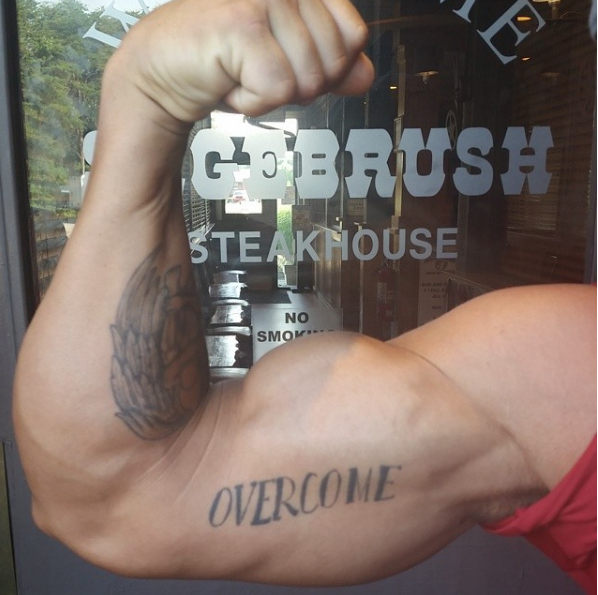 #Overcome38 is a fitness challenge created in the memory of Mike Tucker, an avid weightlifter who successfully overcame struggles with addiction before passing away on 4/21/15 unexpectedly at age 38. Mike loved to help others get in shape and could be found at least once a day in the gym. In 2009, Mike was in a bad car wreck when he fell asleep driving and ran head first into a large tree. Mike had to be airlifted to the hospital where his head resembled a football from hitting the windshield and both legs were crushed to the point that there was a chance they would have to be amputated. After years of physical therapy, Mike made a remarkable comeback to get back into the best shape of his life. I started it as a personal challenge on the 1st anniversary of Mike’s passing because I wanted to get his Overcome Tattoo but had let myself get completely out of shape. After a few days of posting my gym selfies, friends & family decided to take on the challenge too. Mike would love that he is still inspiring others to get fit! #OVERCOME38 CHALLENGE – The rules are simple: 38 straight days of working out and not drinking alcohol. In the first year after my brother passed away, I was drinking a few beers 5 nights a week. Alcohol slows the metabolism, adds wasted calories and leads to poor snacking habits. Plus the next day after drinking, I did not really feel like working out. I knew in order to get back in shape, I had to completely give up this bad habit. If alcohol is not an issue for you, then you can give up something that you struggle with like sweets or soda. 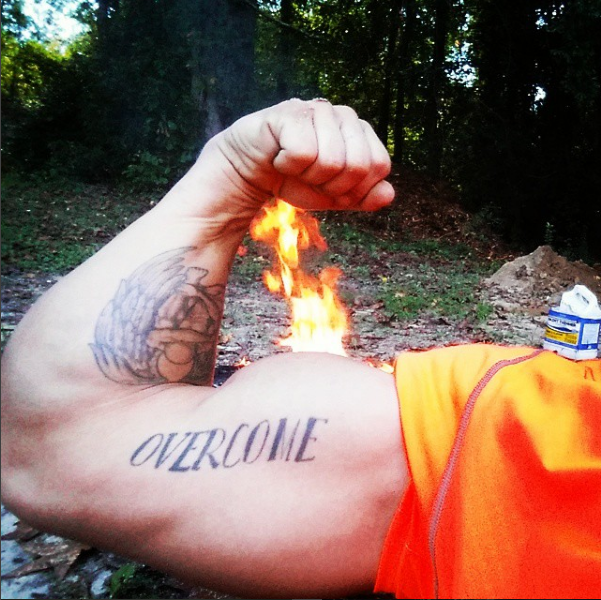 Each day, you’ll post a selfie of you working out or exercising with the hashtag #Overcome38. This will keep you accountable, PLUS you will inspire others to want to get fit too. 38 straight days is no joke. It is a real challenge that will cause you to overcome obstacles to get in your 30+ minutes of exercise each day – But, YOU CAN DO IT! Sharing it on social media will make you accountable… getting friends and family to join you will make it more fun! 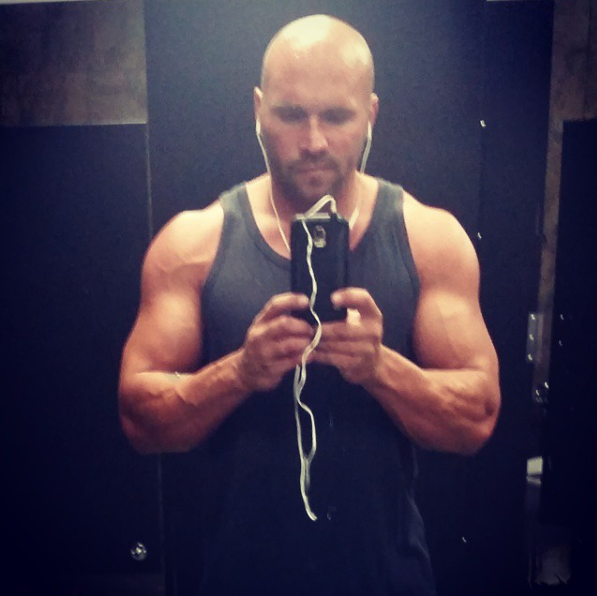 Mike used Facebook & Instagram to keep himself accountable with his fitness goals. He also mastered the bicep selfie. The #Overcome38 Challenge is open to everyone! By taking the challenge, you will lose weight, gain muscle, feel better about yourself and inspire others.